Maximum 5 Mp3 downloads per order. When you wake up in the morning are you thinking there is nothing out there for you and its just going to be the same as yesterday? Do you just seem to be going through the motions, but getting no where? You want to feel better about everything but just can’t seem to get going or know how to improve your situation. You are not alone, depression is prevalent in over 15 million Americans. You have decided that you are ready to do something about the way you feel. 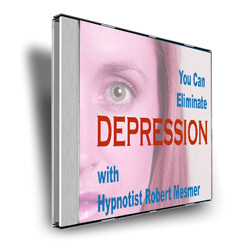 Your hypnotic session can help. You may or may not know what brought on this depression. The onset of feeling this way could have been brought on by any number of emotional events. You can leave this unnecessary depression behind you and enjoy life and all it has to offer once again.